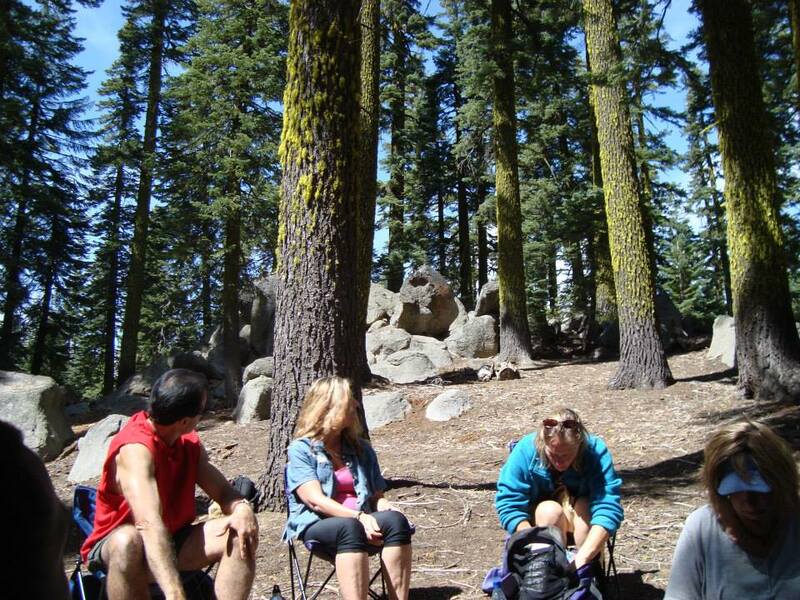 I am freshly back from my Heart of the Mountain Retreat at Mount Shasta. It was from July 19-22, and my heart is still singing. 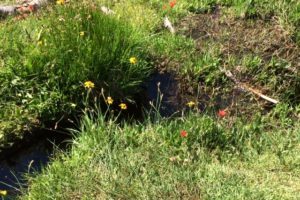 From the healing waters at Stewart Minerals Springs, to the sweet underground spring at Panther Meadows, the variety wild flowers on top of Mt. 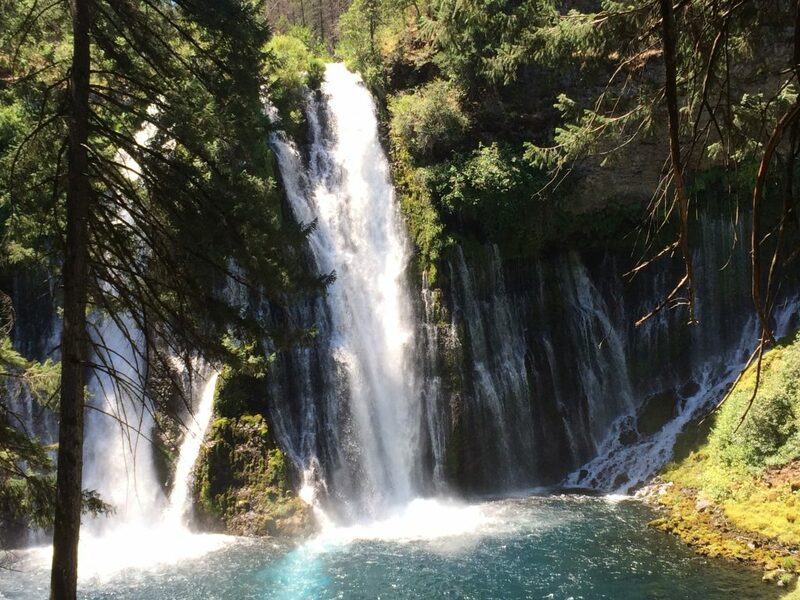 Shasta, and to the plunging waterfalls at Burney Falls, we experienced the sacred healing of nature. 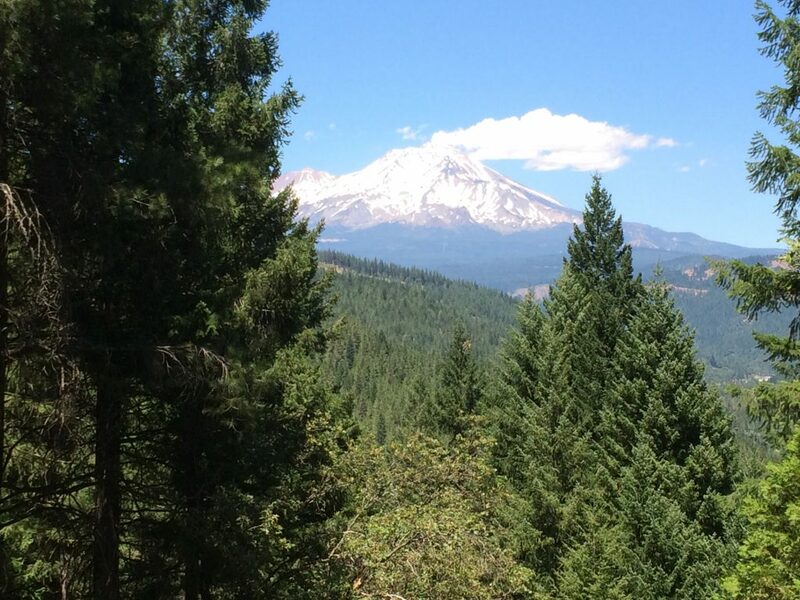 The energies in the Mount Shasta area are at their best. As we are ascending, so is the earth, and that love was felt profoundly in the heart where ever we journeyed. We were delighted to see the night events on the top of the mountain, which included some ships and other sights. The main surprise was the morning of our last day. 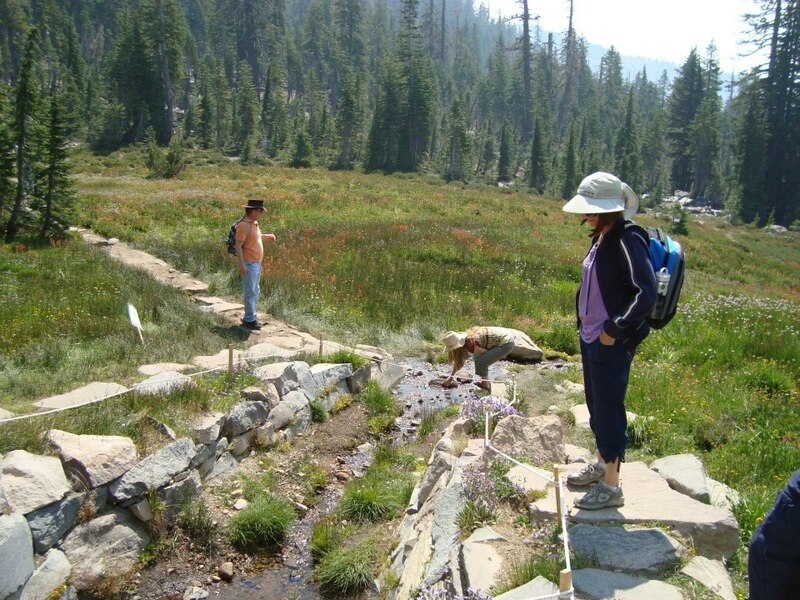 We were at the Sacramento River headwaters in city Park City Park in Mount Shasta where we had a phenomenal day time siting of a ship. Seeing a ship in the daytime in this area is a rare occurrence. One member of our group brought a camera that has magnification capabilities. He was able to magnify the ship so we could see it up close. These are a few of the pictures that I took when we were there. The largest pictures are from his computer that I took when I returned home. 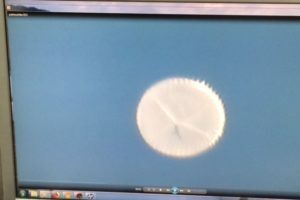 He got some videos but his server would not send them due to the size of file. Here in California we are plagued with at least a dozen wildfires right now. It feels ominous to many of us in the San Francisco Bay Area. It reminds us of what happened last October when we had terrible fires in the wine country and in Santa Rosa. Some of us realize that these are not all natural wildfires. They burn at a much hotter rate than regular wildfires. Could it be the new version of horror-ism? There are also some horrific reports of some very dark activities by various famous people not only in the government but also in Hollywood. The secrets are coming out. How do we reconcile some of the dark behaviors that we are discovering from people who have entertained us, or helped lead us, whom we have respected? Someone reminded me that these souls have been taken over by dark forces. Their behavior is not who they are. Therefore, it is not an excuse for what they do or have done. First, we need to have compassion for those who have been harmed. This must stop! When we move more into the fifth dimension and higher we will be living under the universal law of nonaggression. We are getting ready for this higher consciousness way of life. Let go of the dark. Isn’t a walk in the park? And give us the blues. And pull a new lever. The planet is in trouble. Lately, I have become aware of feeling greater confidence, empowerment, as if I am beginning to live my mastery. Even though I don’t have the answers to all of the questions, I know that I can find the answers. I feel that I am bouncing into the higher dimensions from the fourth to the fifth and higher. I have felt more happiness and feel that things are getting easier. Manifesting seems easier. We are anchoring in the higher dimensional frequencies. A large percentage of the dark forces have been removed from the planet or they are in the process of being indicted. Simply by removing the dark forces makes life easier for us. Yes, we still have a small percentage of the darkest of the dark, who don’t want to give up. They are doing nasty things but not for very much longer. They are getting discouraged because they know their days are nearly over. Remember is always darkest before the dawn. Chaos precedes evolution. Greetings, I am Mira from the Pleiadian High Council. Most of you probably remember that I have been working full time with the Earth Council for the Ascension process for these past six years. I periodically report through this channel what we would like you to know. 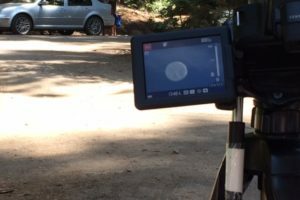 You will begin to have increasing numbers of sightings such as the one this channel and others saw at Mount Shasta. Before you know it, seeing ships in the sky will become an everyday occurrence. Can you imagine the excitement that you will feel? We are open and are enthralled with anticipation. We cannot wait to meet you and to get acquainted. We have a lot to share and so do you. We will be helping in every way possible. You will be able to come forward and do your true work for your purpose and destiny. In addition to the joyful reunion, the skies will light up with potential while your hearts sing to the music of the cosmos. This is what we have long awaited. You will become more beautiful and will learn about the sacredness of life. The waves of love are getting stronger and some of you are feeling this. It is expanding your happiness. It is as if you have been touched by an Angel. You are sculpting your angelic selves, your masterfulness, and starting to make the earth beautiful again, beginning with yourself. Never before in the history of the Ascension Process anywhere in creation has such brilliance been delivered to any planet. The earth is the most deserving of all for what she has had to endure. The esteemed Lightworkers deserve to be treated with the utmost respect, gifts, and honor for the work that you have achieved. Without you, the beloved earth would most likely not have survived. The divine plan is being carried out to the fullest. You are part of this plan, an integral force to its completion. You will be given everything that you need. All abundance is yours. Little will remain from the past for you will have little use for it. This last stretch, towards home, will go quickly. You will need to be on your toes and aware of what is occurring around you. Your razor -like sharpness, increased intuition and psychic abilities, sensitivities, discernment, and keen determination for the planet’s Ascension are integral to the success of this mission. Release any doubts you might have about your abilities to complete this cause. You are almost there. Let those around you make their own choices. Sometimes this is not easy and we understand that. The glory that you are creating mandates that you follow your strategically dealt directions. 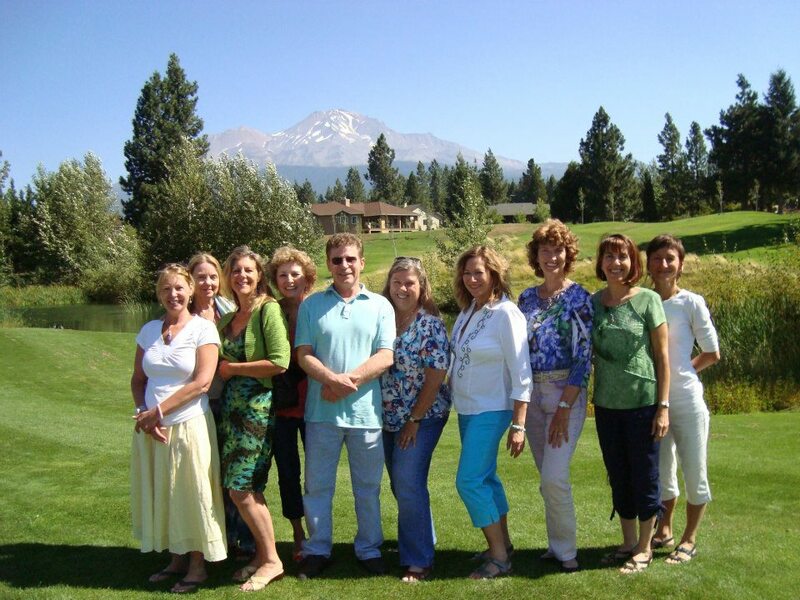 You will magnetize to your selves like-minded community members that will support you significantly with your work. Your lives will get easier. You will have everything you need to complete your assignment. Allow others their choices and do not judge them. Love them, have compassion, and be patient. They could surprise you with an awakening in their most divine timing. No matter what, keep kindness in your heart. This will elevate you and will keep you in sync with the energies that are coming. Brace your selves for what is new, true, and divine. Please remember we are one. We love you and our assignment. I am Mira saying good bye with love to all. We are on our way home, ground crew. Certainly, we are living in time full of action. 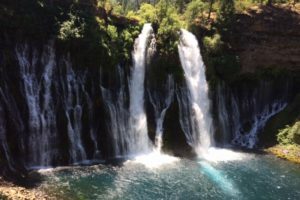 It is possible to get information overload yet in my monthly updates I like to write about things have touched me and I hope they also help you. This question facilitates our ability to not get upset about everything that’s going on. Prayer and meditation can also help.As I am writing this today it is July 4, the Independence Day for the United States. It is about freedom! Much is being learned about freedom as the truth is coming out about everything. Our awareness is changing. The truth shall set you free, right? It’s the freedom we will get. It can no longer last. Healed with lots of hugs. Freedom, freedom is the most important thing. It allows you to express your creative being. In my Monthly Meeting with the Masters on July 3, Paul the Venetian, came to speak with us. He represents the Third Ray and holds the office of the Maha Chohan, which represents the office of the Holy Spirit for this planet. According to the book “The Seven Sacred Flames,” by Aurelia Louise Jones, “Paul the Venetian was the inspiration behind the construction of the statue of liberty in France. The statue, among other things, represents the flame of liberty, the same flame that Paul the Venetian gifted to the Incas long ago.” His last incarnation ended in 1588. In our class what he said about liberty is: “Be true to yourself; don’t let anyone railroad you; be an example for others; let your light shine; and stick to your values.” During these times of chaos and confusion, in my opinion this is good advice. In our process of mastery, we are garnering our strength, and from this strength you will always be shown what to do. You will continue to build courage and power as beings of light. Apollo and I talk daily. He provides me with important information about what is occurring on the planet from the Galactic viewpoint. He tells me that a very high percentage of the dark forces have been removed from planet. I gather this could be about 90%. (In February of this year it was 72%.) When we get to a few percentage points higher we will likely see the end of chem trails. In our San Francisco Bay area there have been fewer chem trails in last few weeks. How is it in your area? I also get the sense that something very big is about to happen. In the past few days I have heard words “astounding,” “redemption,” and have felt a lot excitement coming from him. We truly are living in exciting times. Apollo has also told me that we have many emissaries here now in all walks of life to assist us with Ascension. This means that even though we get information about what is going on various places like our governments, etc., there is much more than meets the eye. The divine plan is unfolding. Greetings, I am Mira from the Pleiadian High Council. I work full time with the Earth Council to assist with the Ascension Process. I am pleased to report that all is proceeding well with your Ascension Process. Missing parts have been put together. Massive amounts of karma have been cleansed. Relationships are being healed and cleared. Like the earth, you are moving on. You are clearing out the past and letting go of what no longer serves you. The earth is volcanically erupting as she releases molten lava to clear massive amounts of darkness within. It is not her darkness. It is a result of what has been done to her. She has been showing how powerful she is and how ready she is for her ascension. Humanity is beginning to pay attention to these messages. It is a time on the planet when you cannot take anything for granted. Change is the constant. New patterns of thought and constructs are being created now. They are required for the higher consciousness that you are creating. When the time comes there will be many awakenings and gifts from the Galactics and Light Realms. You will be the beneficiaries. You have earned it from all of your hard work. There will be many openings from within the earth and you will find this true within your selves. You will discover many things that you did not know about yourselves as they come to the surface. You will reunite with old friends and family from past lives. You will reconnect with many Masters, Archangels and others. There will be many reunions with soul family along with galactic family. You may even reconnect with some of your ancestors. Cherish each moment of every day. The new developments may be like petals blossoming on a flower. Whether you like some of the revelations or not, they will get your attention. They will make you wonder why you didn’t see certain things before. You will see and sense that you have been living in different time lines as well multiple dimensions. All can seem bizarre. Do not let this upset you. Please understand this information is necessary for your awakening. We continue to monitor you and your progress. We stand by ready to intervene wherever necessary. We hope to impress upon you the seriousness of these times. We have enforced this message to the dark ones who are still hanging on. They are in fear and want to remain in control. Their days are ending and this is the message that we are consistently reinforcing. Please understand that you, along with the help of billions of the forces of light, are taking back your planet. We assure you that behind the scenes the plan is ready to be implemented. Stay awake and aware. Listen to the voice within for your own guidance. Find your own truth amongst the numerous lies. Keep your truth to yourself unless you have others with whom you can share. You can talk to us for we appreciate your input. Your involvement is meaningful and important. You are our beloved ground crew. We appreciate and admire you for all that you are and all that you do. I am Mira with lots of love. 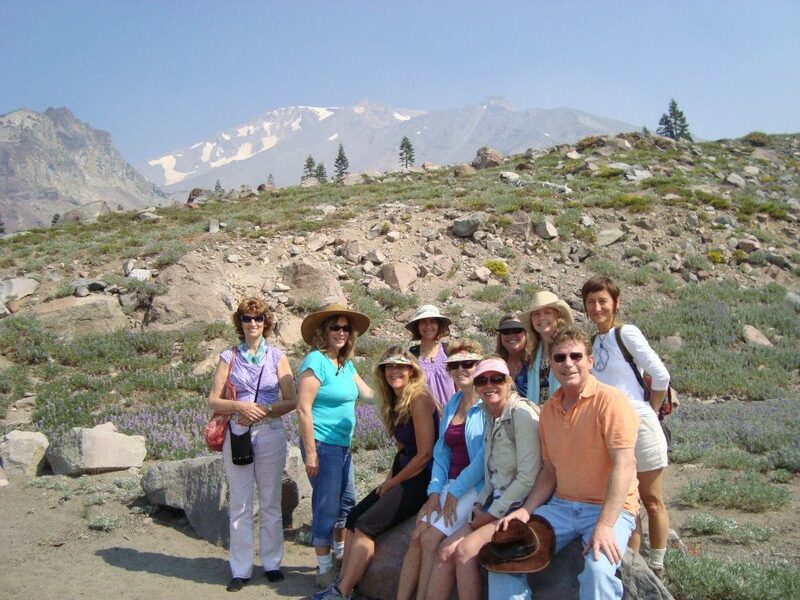 I am heading to Mount Shasta in a couple of weeks for my Heart the Mountain Retreat. We have a lovely group of people who have been called to the mountain. We will be communicating with nature, the Galactic’s, the Masters and Archangels, and with each other. I will be reporting in my next message for August. Please be open to all of the magic and miracles that will be coming our way. Let’s focus on love and oneness in all that you do.